Spring is in the air-and maybe on your car and sidewalks. 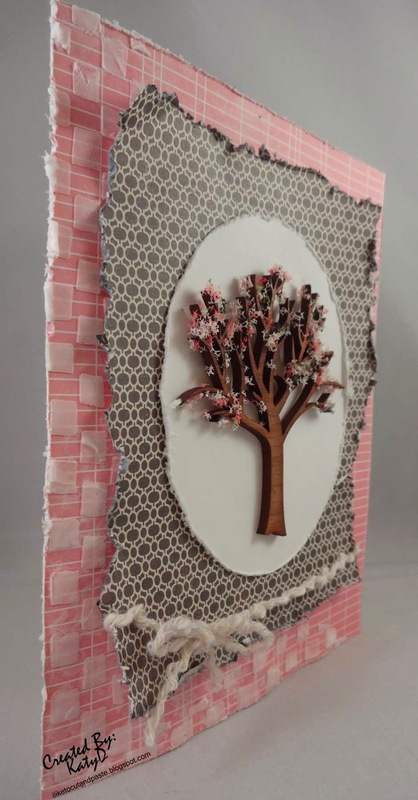 ;) But there isn't any pollen on this card-just a beautiful tree with flowers! Today it is my turn to post a project over at Unique Laser Designs. This tree started off bare. 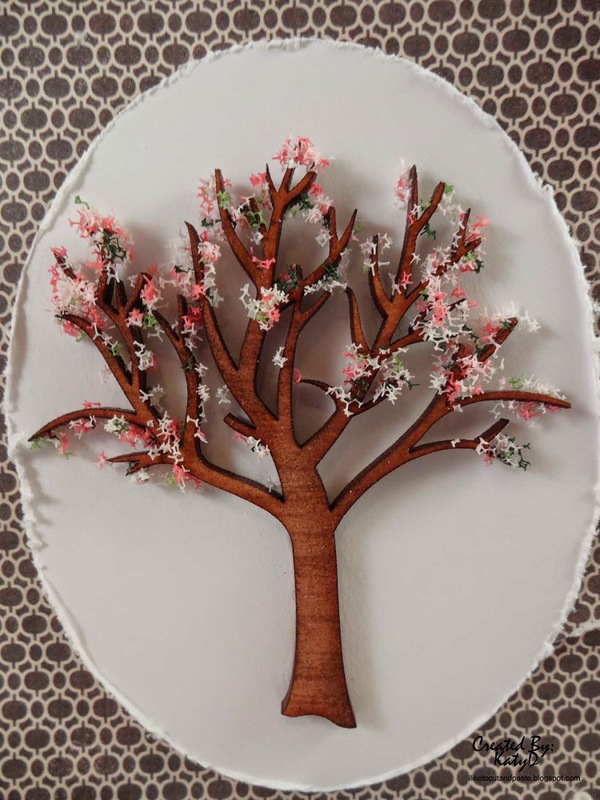 So I added some flower soft to create the look of flower buds on tree. This is flower soft. 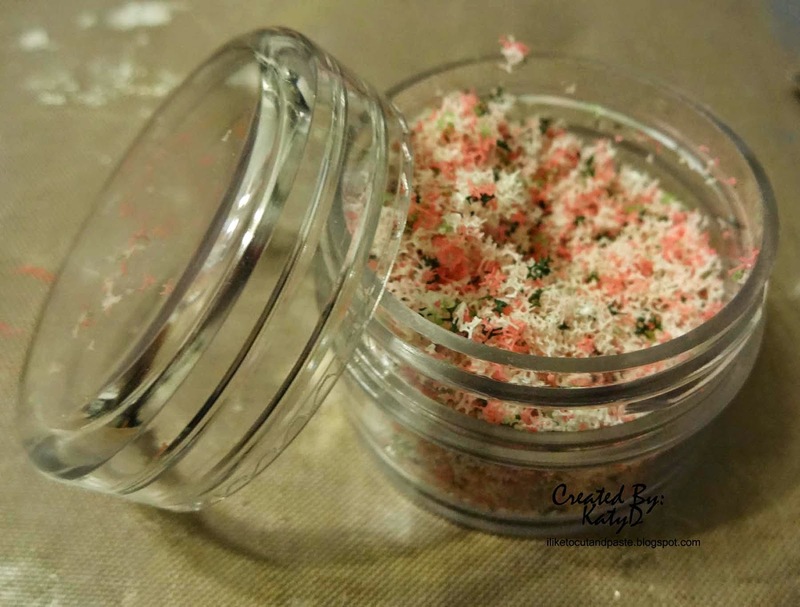 It is sort of like pretty colored pencil eraser shavings. It comes in different colors and blends. This one is Soft Pea. 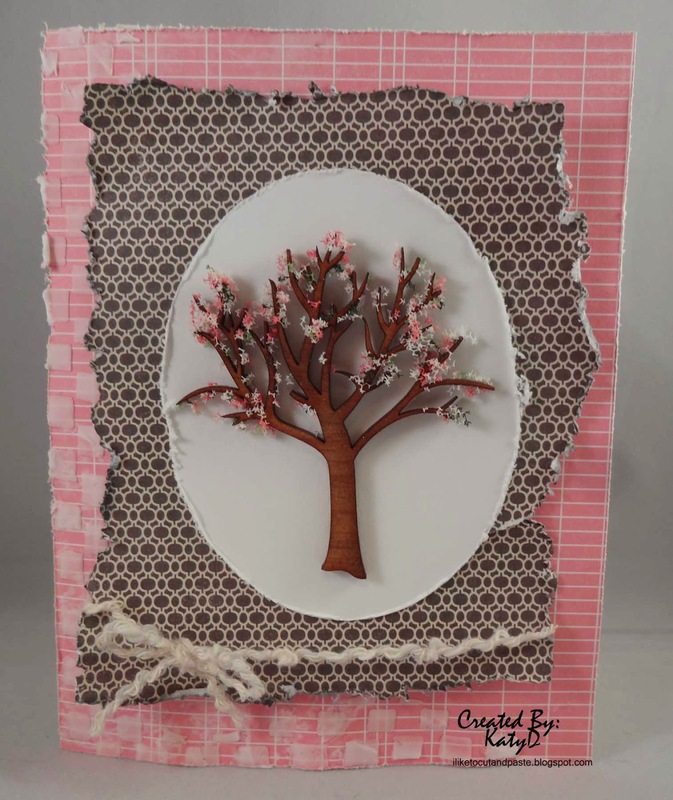 I am linking this card up to 613 Avenue Create Challenge: Anything Goes Twist-Spring. Thank you for stopping by! Until next time my friends...Happy Spring! wow this is outstanding.. I love the texture on the tree.. This is sooooo gorgeous! I love love love that tree!!!!!! !